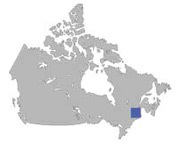 .Industrial and Commercial Park 30-55 Inc. is situated at Bécancour in the Centre of Quebec, opposite Trois-Rivières on the south shore of St-Lawrence river. Located at less than 90 minutes from Montreal and Sherbrooke and 60 minutes from Quebec City, the Park occupies a choice position to reach most markets, and is linked to expressways 20 and 40 by expressway 55, one of the main road networks of the province. .Bécancour lies in the heart of a rich area, thanks to great resources, modern infrastructures, the quality of the labour pool and a great industrial heritage. 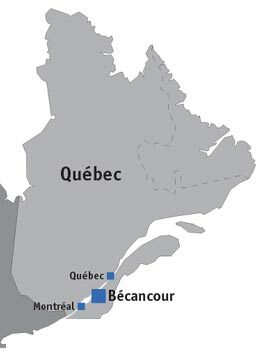 The manufacturing sector dominates the regional industrial structure of the MRC of Bécancour, Nicolet-Yamaska and Trois-Rivières, particularly in the fields of the paper industry, as well as metal and metal products processing.